The Peppin Heritage Centre tells the story of the legendary Peppin Merino and the men and women who created them. Located in the old Deniliquin Public School the dedication and struggles of these pioneering families is brought to life with the displays and stories throughout the centre. The historic Warrison Ram Shed, old Wanganella Gaol, Struggle for Water Exhibit and the very comprehensive history of many of the properties along the Edward River all help tell the story of the incredible Peppin Merino. Visitors can also reminisce in the authentic old school room complete with original school desks, blackboard and school photos. Memories both good and bad are often told of ‘the good old school days’. It is a great resource for today’s schoolchildren who are taken back to an era they find hard to imagine. Our main gallery allows visitors and locals access to excellent travelling and local exhibitions and we strive to have a varied program throughout the year. Exhibitions from Sydney Living Museums, the South Australian Maritime Museum, Australian War Memorial, Museums and Galleries of NSW and the Bald Archy Awards have all been on display in the past. Our local displays have included vintage and high fashion, interesting collections, artworks and district history. 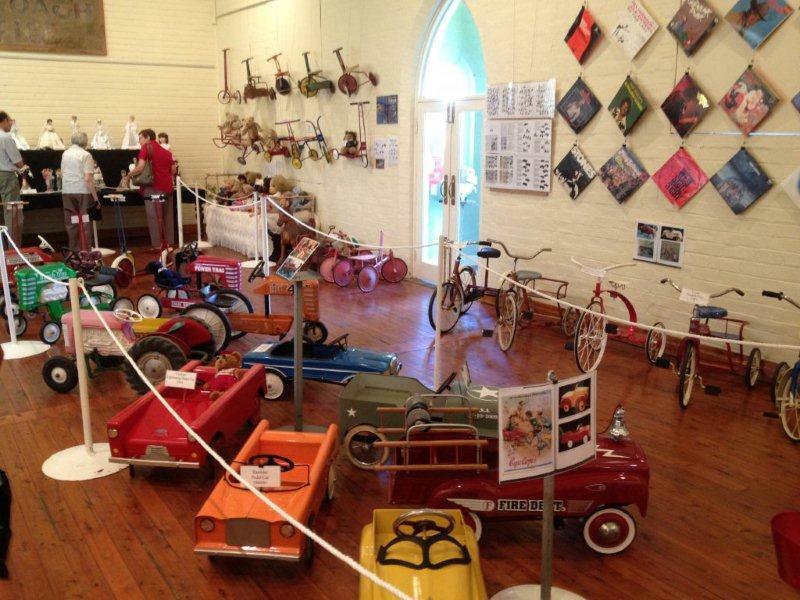 Located on the banks of the Edward River, Deniliquin’s Peppin Heritage Centre incorporates the Visitor Centre and Crossing Cafe and is not to be missed when visiting our picturesque town.